The Slim Stamp 3679 has a maximum text plate size of 1-1/2" x 3-1/4" allowing you to create up to 10 lines of customized text. 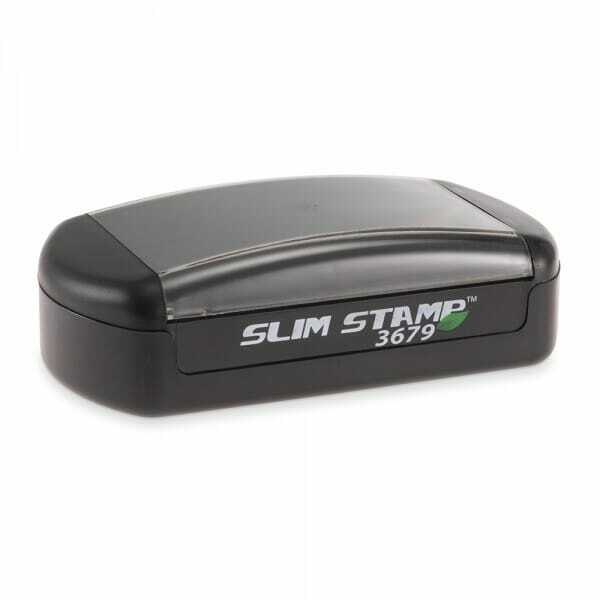 Customer evaluation "Slim Stamp 3679 1-1/2" x 3-1/4" - up to 8 lines"
I Love this stamp, so much so that I’ve bought another!! Works great, easy and neat to use!